Many reptiles need hides. For example, leopard geckos should have several hides in different temperature zones in their habitat. However, do bearded dragons need a hide as well? Bearded dragons and most other reptiles should always have a hide in their terrarium. Even though most bearded dragons are very calm, there are situations that could stress them and a hide will make them feel more safe and reduce stress. Further, a lot of bearded dragons like to use hides as sleeping place. This was the short answer, but I know that you probably have a couple of questions on hides. Many people fear that their bearded dragon doesn´t become tame if it can hide all the time or they fear that their bearded dragon could not get enough light. Here is why you don´t have to worry. Do Bearded Dragons Need A Hide? Most bearded dragon tanks are poorly equipped. No real substrate, only one branch or log and a food bowl. That is not an appropriate environment for a bearded dragon. Think about that, bearded dragons do not live in the desert, they live in the dry woodlands of Australia. In the woodlands, there are a lot of branches, fallen trees, bushes and other hides a bearded dragon loves to use. The reality is, in the wild, bearded dragons need those hides, otherwise they would die quickly. In the wild, bearded dragons always have to watch out for birds and other predators. A fallen tree or a cleft in the rocks can be a life saver for them. 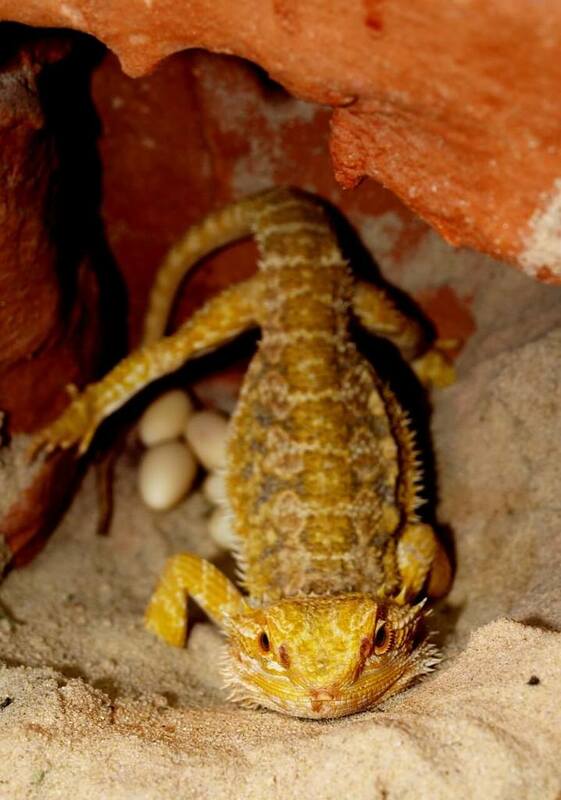 Further, female bearded dragons only lay their eggs where they feel safe to ensure that her babys survive. If they can´t find a good hide, they dig a little cave and lay their eggs in that cave. 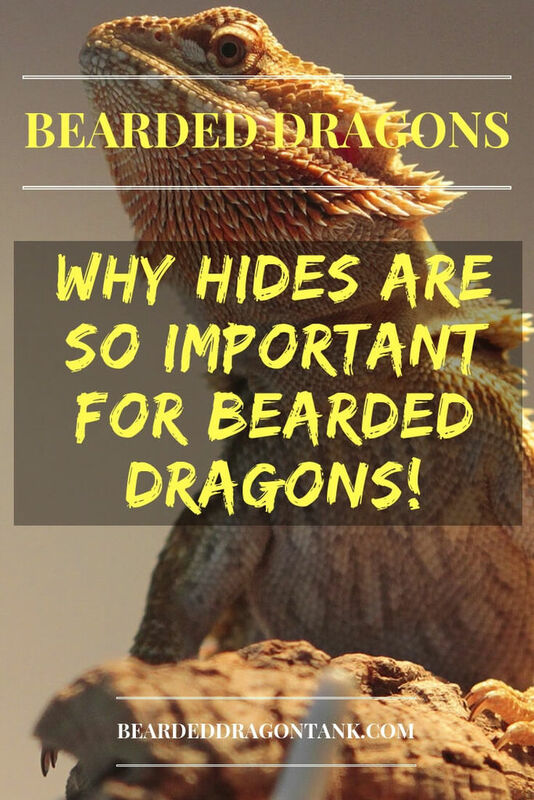 So as you see, hides are part of a natural bearded dragon environment. What does that mean for you? However, you might be wondering why bearded dragons need a hide in a tank. I mean, there are no real dangers in a tank, right? That might be right, but most bearded dragons would say that this is wrong. Even though there are no real dangers in captivation, it doesn´t mean that your bearded dragon has no fear anymore. In captivation, other things could be seen as potential threats. For example, a human could be dangerous to a bearded dragon. While most bearded dragons are pretty laid back and are not really afraid of their owners, other bearded dragons are stressed and need to get used to humans first. That´s not all. If you have a cat, your bearded dragon could freak out whenever it sees your cat. Some bearded dragons are scared by TVs or weird looking lamps, or whatever they can see outside of their tank. You have to keep in mind that bearded dragons have excellent eyes. They can see as good as humans can and they can even see birds outside of your windows. So no matter if your bearded dragon is always relaxed or totally nervous at all times, hides are good for every bearded dragon and you should always have one, just in case your bearded dragon needs to feel safe for a while. Most bearded dragons prefer sleeping in hides over just sleeping in the middle of the terrarium. Knowing that it is protected during its sleep will make a bearded dragon feel way more relaxed. For that, it is recommended to place the hide in the cooler zone. To fall in a deep sleep, bearded dragons need lower temperatures (Below 68 °F or 20 °C would be best) and sleeping in a hide in the warmer zone could be counterproductive, even though the temperature drops in the whole tank during the night. Besides that, bearded dragons should be able to brumate once a year. Most bearded dragons want to brumate around October or November. For that, bearded dragons naturally look for safe places where they can sleep for a long time without getting eaten by predators. If you allow your bearded dragon to brumate, your bearded dragon will show you that it is time to reduce the lighting times by eating less, being inactive and staying and sleeping in the hide even during the day. This can be quite confusing, that´s why I have written a brumation guide here – just in case you need it. Does My Bearded Dragon Get Enough Light? Bearded dragons know exactly what they need, so there is no need to worry about this. A healthy bearded dragon will come out of its hide in the morning to bask to get its body on temperature, otherwise it would not be able to function properly. If your bearded dragon does not do this, there might be something wrong with your bearded dragon. It might be sick, or it might be stressed out. If you are sure that your bearded dragon does not come out, you should bring your beardie to a vet to check if everything is okay. If your bearded dragon is healthy, there might be something that stresses your bearded dragon. In that case, I always recommend to cover the sides and the back of the bearded dragon enclosure. The lesser your bearded dragon is able to see outside of the cage, the less it will be stressed and eventually it will come out more. Especially if you just bought your bearded dragon, you should give it time and leave it alone for a while. Do Baby Bearded Dragons Need Hides? Yes, baby bearded dragons need hides, too. I´d say especially baby bearded dragons should have hides in their terrarium. Many baby bearded dragons are a little bit skittish and nervous and hides can really help them to feel more safe and stay calm. I know that many beardie owners fear that their baby bearded dragon doesn´t eat enough if their baby beardie can hide or if they can´t see their food. Baby bearded dragons are not dumb, they will find their food eventually. Besides that, you can always check your baby bearded dragon´s weight from time to time to make sure that it grows as it should. Do Bearded Dragons Need A Moist Hide? As I said, bearded dragons come from the dry woodlands of Australia and they are not really used to a moist environment. In fact, a too high humidity can even lead to diseases in bearded dragons,. That´s why you should never put a moist hide into a bearded dragon tank. Will My Bearded Dragon Still Become Tame? I understand that you might fear that your bearded dragon will always stay skittish if it can always hide from you. However, a hide can actually help you here. As soon as your bearded dragon realises that it can always avoid you if it wants to, it won´t be that nervous anymore. Some bearded dragons are just more nervous than others, but all bearded dragons can be tamed if you are willing to invest the time. If you need help with that, here is how you tame your bearded dragon in 3 simple steps. What Are Some Good Hides For Bearded Dragons? You know, I am a big fan of very natural bearded dragon habitats as I think that those are the best for bearded dragons. However, you don´t have to create a cave with clay or something like that. You definitely can just buy a standard reptile hide like below. You can get those hides here. There is no problem with those hides as long as your bearded dragon fits in completely. 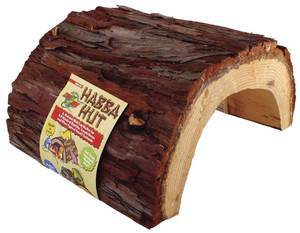 Besides that, half logs are also great hides for bearded dragons. 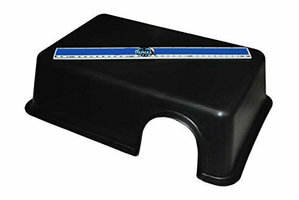 They might be a little bit more expensive, but they look absolutely awesome and your bearded dragon can even climb on it. Get a half log here! You can use plants to create hides for your bearded dragon as well. I know that most plants do not survive very long in a bearded dragon habitat. That´s why I have written an entire article on plants in a beardie tank. You should definitely read it. Click here to learn more about beardie plants. Hides can reduce stress in bearded dragons and most other reptiles. That´s why you should always put a hide in your bearded dragon tank. They are not that expensive and can transform a nervous bearded dragon into a calm bearded dragon. So, do bearded dragons need a hide? They absolutely do!